Cinderella Castle. Can never get enough of this view! Yep, we’ve flown to Walt Disney World. Sure, flying is fast and efficient, but there’s just something about packing up the car and hitting the highway for 1,000+ miles at a time. Our Road Trip TravelingMom learns new lessons with each new road tripping experience – and the important ones from my family’s road trips to Walt Disney World will stick with me forever. 2. Filling Up? Check the Fluids. 3. Don’t Say the “B” Word! 4. When Teens Get Bored They Talk. Use it to Your Advantage. 5. 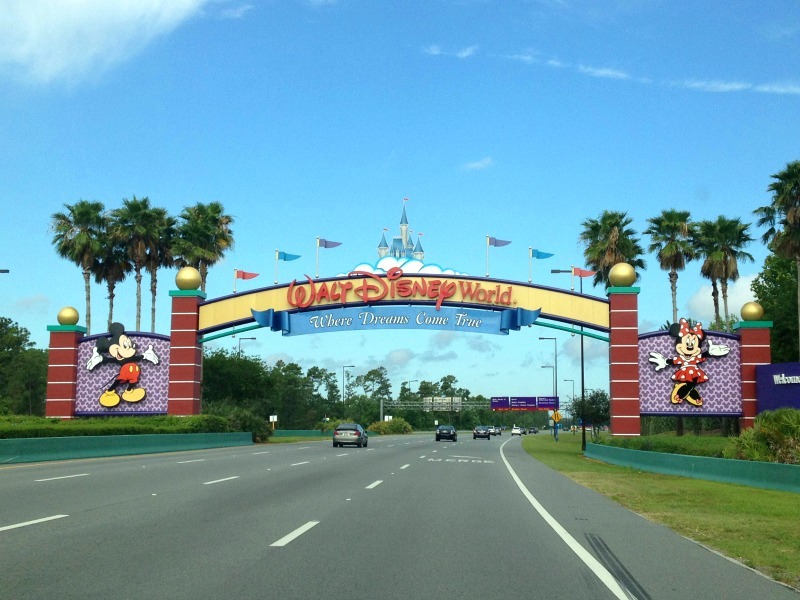 Take A Photo of that Famous Walt Disney World Sign – But Don’t Stop! 6. Someone Will Probably Get Sick at Some Point. 7. Double Check Your Hotel Room Before You Leave. Make that Triple Check. There’s a feeling that I love about road tripping to WDW. If you’re road warriors like we are, you know it, too. It’s that giddy, exuberant, all over happy feeling of packing up the car with all of the gear we’ll need for 10+ days on the road. I don’t have to worry about meeting luggage weight requirements for airlines or being a super-efficient packer. I can load up the trunk and hit the road with my family on a road tripping adventure. Or perhaps you’re still not sure about a Walt Disney World Road Trip? Then read this article that answers the question: Is It Cheaper to Drive or Fly? But for those committed to the road trip (like us), the time spent in our car gives us time to talk about our Disney vacation. It’s the perfect way to spend quality time with my husband and daughter, my two best friends. What important lessons have I learned from road tripping to Walt Disney World? You might be surprised. This one is twofold. Our brains automatically go on thirst mode the moment we pull out of the driveway, I think. I’m generally a camel when at home and don’t drink a ton of water, but get me in the car and I’m constantly thirsty. By purchasing a case of bottled water before you go, you’ll have extra water on hand during the road trip and you can take it into the hotel or resort and drink it in the theme parks. There’s no way I’m paying $3 a bottle. Having extra water, along with a few other must-take supplies, on hand while on long road trips is a good idea for your car as well. Say you get a leak in the radiator and forget to add a jug of coolant to the trunk. Bottled water will help in a pinch. Read More: Keep the kids happy with these 25 Best Road Trip Snacks for Toddlers. I’ve learned this one the hard way. I had an oil change before a big road trip once and the gentleman that swapped out my oil filter threaded it incorrectly causing a constant dribble of oil when the car was running. Had we had not checked the oil every time we got a tank of gas we wouldn’t have known. We always keep a gallon of coolant, a quart of oil, and washer fluid in the trunk – just in case. If you’re traveling in winter, consider keeping two jugs of washer fluid in the trunk for those semi trucks that love to splash dirty slush all over your windshield at 70 MPH. Renting a car for your road trip? It’s a really good idea is to consider rental car insurance. Allianz has such a great package that includes collision, loss, and damage – and even includes 24-hour roadside assistance. It’s not what you’re thinking. B stands for bathroom in this post! If I even mention needing to use the bathroom, suddenly we all have to and I’m looking for the closest rest area or fast food joint. When you do have to stop, make sure everyone goes. Even the teen camel in the back seat. In this age of portable technology, I find it really hard to believe that a teen could ever get bored. Having written that, I have a 14-year old daughter (if only for two more weeks. She turns 15 right around Thanksgiving) who would rather stick her nose in a book or stare at her tablet or phone during her free time. But, get that kid in the car for 15 hours straight and the conversations start rolling! It’s a great way to talk about anything she wants and I’m all ears. We plan park itineraries and chat about what we’re looking forward to most on our upcoming visit. Read More: How about a family sing-along with these best road trips songs for families? One of my favorite photos from Walt Disney World is the photo of the Walt Disney World sign when we were driving up to our resort. It’s that arched loveliness that lets guests know they’re officially on Disney property. Just thinking about it gives me the warm fuzzies. TravelingMom Tip: WDW doesn’t permit stopping your vehicle anywhere near it (there are warning signs! ), but you can still have your family member in the front passenger seat grab a pic. Read More: Want to take better photos of your kids? You can with our Photo Tips & Tricks for Better Photos. Traveling back and forth to Walt Disney World twice a year, I’ve learned that one, if not all of us, will get sick. And whether it’s a simple case of the sniffles or the flu (Yep, I’ve had the flu at WDW. Not a memory I hold dear or something I’d want to repeat. ), keep some common medical supplies in the car including bandages, cough drops, and tissues. If you really want to up your road trip ante, consider purchasing travel insurance before you leave the house. Yep, we all know Walt Disney World does a great job of locating misplaced items and will even ship them home to you if you leave them on the property, but it’s so much easier to double and triple check for items before you hit the road home. I have a travel pillow that I always take on road trips (I need some “sameness” in my life!) and I can’t count how many times I’ve left it behind and had to have it mailed home. Get everyone out of the room and go back in yourself to do a final sweep. Check under the beds, behind the bathroom door, and closely inspect the bedding. You may save a few tears for the road trip back home. Read More: Not sure what hotel to stay in while at Walt Disney World? What lessons have you learned from road tripping to Walt Disney World? Share them with us in the comment section below! 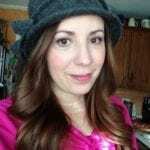 TravelingMom received financial compensation from Allianz Global Assistance (AGA Service Company) for this sponsored post but all opinions are our own.